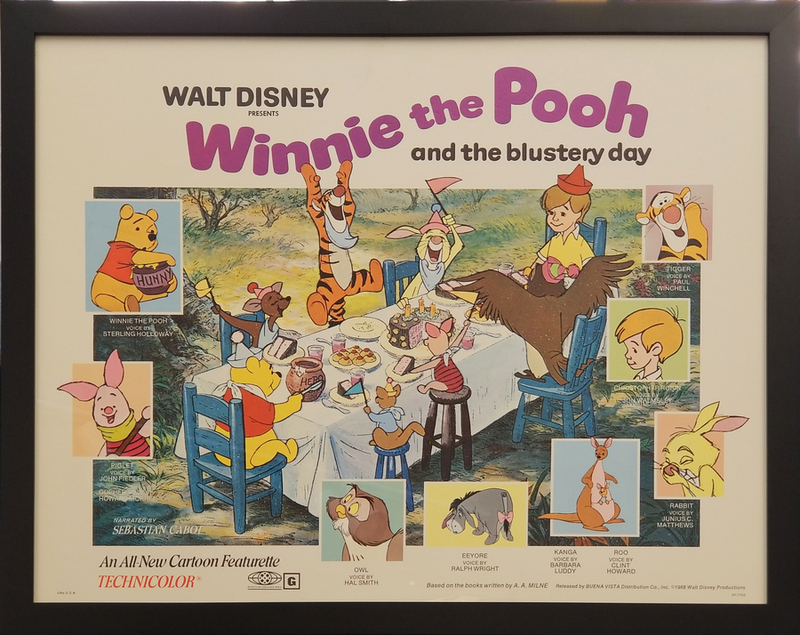 This is a half sheet poster used to advertise the original 1969 release of Walt Disney Studios production Winnie the Pooh and the Blustery Day (1969). 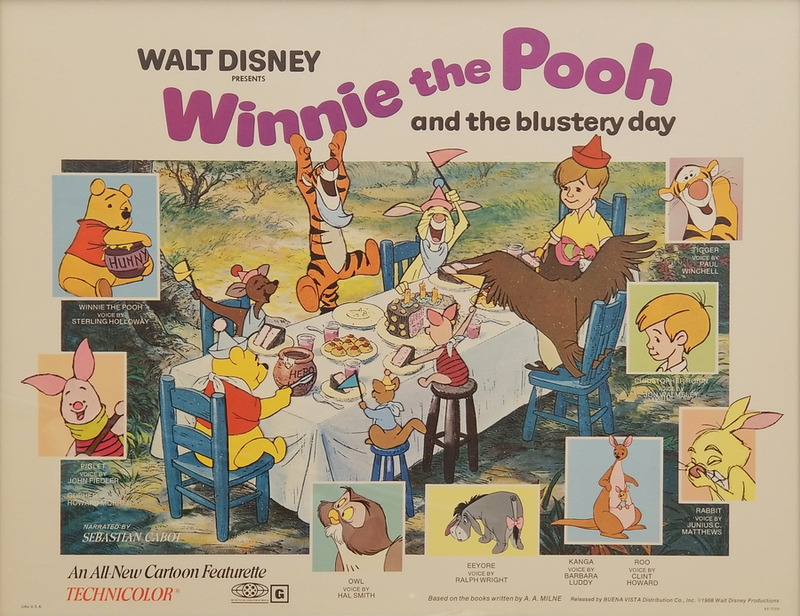 The poster features all the main characters that appear in the film: Winnie the Pooh, Kanga, Roo, Piglet, Tigger, Rabbit, Owl, Eeyore and Christopher Robin. The overall measurements of the poster are 24" x 30" and the main image area measures 22" x 28". The poster is in very good condition and has been framed.